The OdaTrak System provides a powerful extension to the OdaLog Logger, enabling the OdaLog unit to be interfaced with telemetry and control systems, providing real-time gas data. The OdaTrak System requires the OdaLog Logger with a fiber optic output, OdaTrak adapter and fiber optic cable. 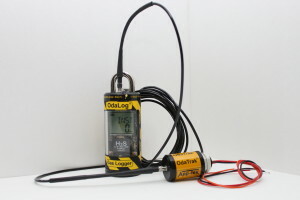 Data sent from the OdaLog Logger via fiber optic cable is read by the OdaTrak adapter which outputs the corresponding signal on a 4 to 20 mA loop to control chemical dosing, trigger alarms, and display current H2S gas concentrations. The OdaStat-G Software is used for programming the OdaLog, as well as for downloading the data after completing a logging session.